Today, the showers have stopped for the morning, thus allowing for the opening ceremony for Library Week to finally take place. The Librarians dashed everywhere, getting ready to take over the reins from the usual Prefects. Nervous performers, fluttering gimmicks, microphones in testing, this is no small private event. The theme for this year's Library Week is 'Love and Appreciate the School Resource Centre as a Source of Knowledge.' For that, we at the Bulletin Unit have designed this logo to be exclusively used in the posts about Library Week for 2012. This exemplifies the goals that are the Library has aspired in the theme for this year. After the routine sections, the opening ceremony finally kicked off with a speech from our Coordinator, Pn. Sabrina, She started off her speech with with the introduction of the year's theme. 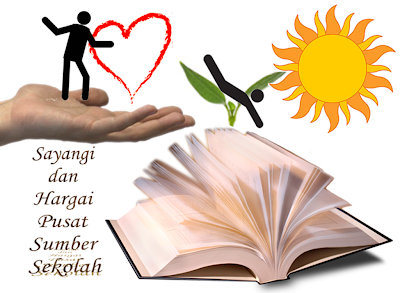 To quote her, 'Love the School Resource Centre with all your mind and all your heart.' This is so as the students are the most loyal users of the School Resource Centre, for what is it without them? She then tells of the activities that are to be held in conjunction with Library Week; that are Scrabble competitions on Monday in English and on Tuesday in Malay; picture quiz on Tuesday for first formers and Wednesday for second formers; film screenings in the media rooms on Wednesday, Thursday and Friday; donation campaign for the disabled and handicapped on Thursday; and the book sales in the Library and the sales of cookies and drinks at the Canteen throughout the week. 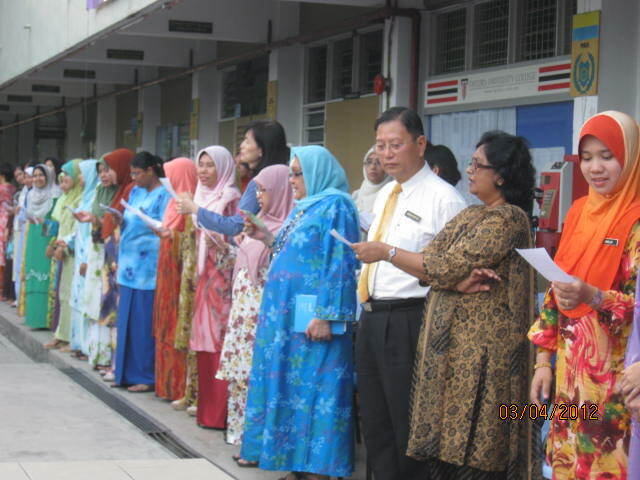 With that, the speech is concluded, and our Principal, Pn. 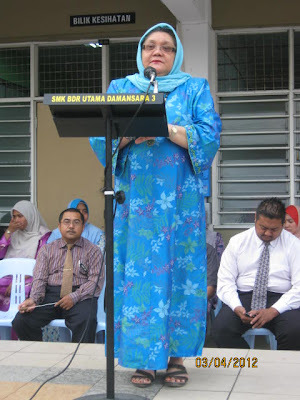 Azizah Yusoff, comes up on the stage to officiate the event. 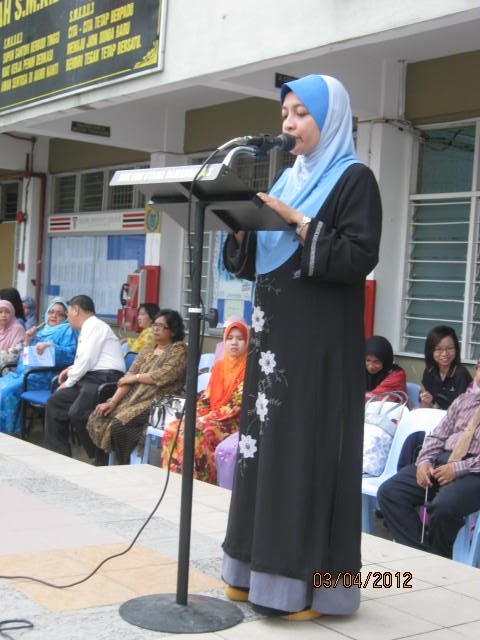 With the NILAM (Reading is the Key to Knowledge) program in mind, she stresses the importance of NILAM in the future and its correlation with being well-informed. Bearing in mind the activities of the week, she points out that the Library Board is a socially responsible organisation, and via the aforementioned donation campaign, the Library could indirectly serve as a catalyst for the birth of a loving society. The ceremony was officiated with the pinning of hearts on a banner that reads 'Love and Appreciate the School Resource Centre'. 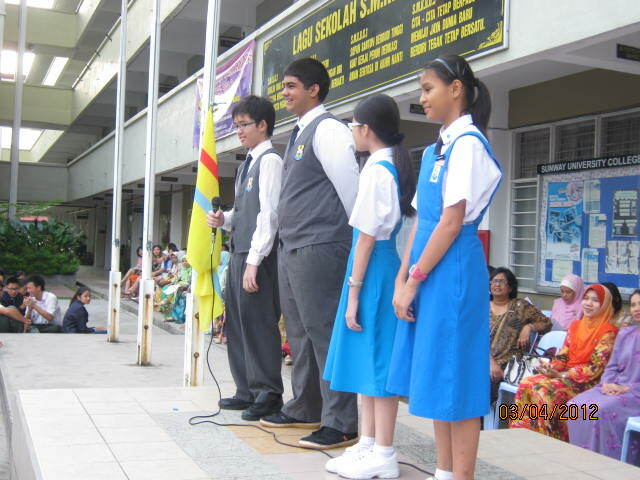 Then, symbolic book donations took centre stage with even Pn. 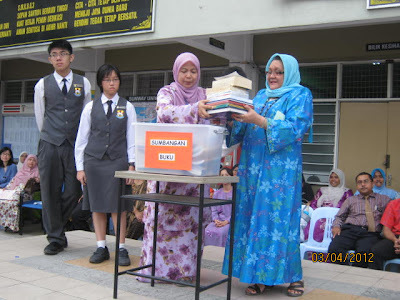 Azizah giving over books to be added to the ever-increasing assortment of books in the Library. After that, the Librarians recited the poem, 'The Book of Life', with ever emphasis on life being the ultimate book to be read. 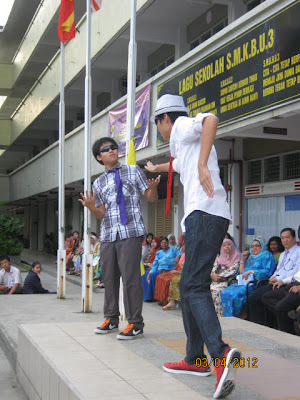 Whilst our very own dancing duo, DeSpeakable, performed up front to the delight of the assembled students. 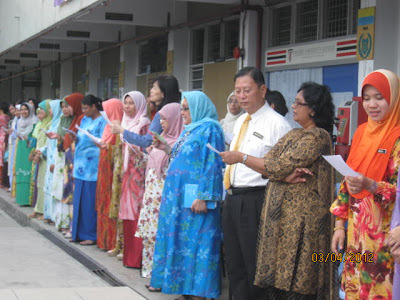 Finally, the ceremony was closed with the singing of the NILAM song. 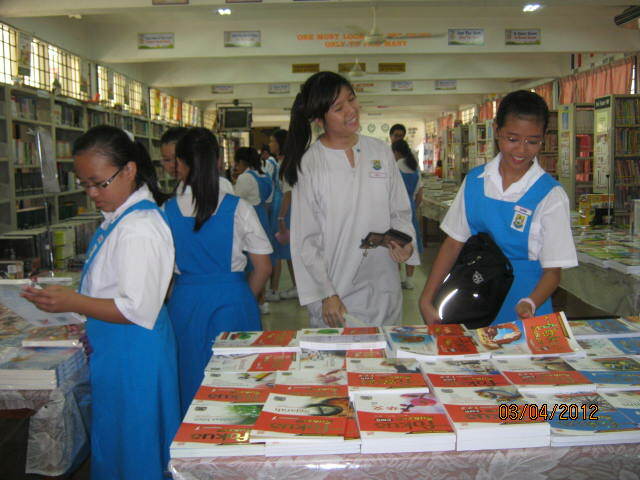 Today was the first day the Library was opened for the book sales. Students came class by class, hoping to get some good reads. Some books were simply snatched up and there was none left of the same title! The response was warm from the students, and that would augur well for days to come. 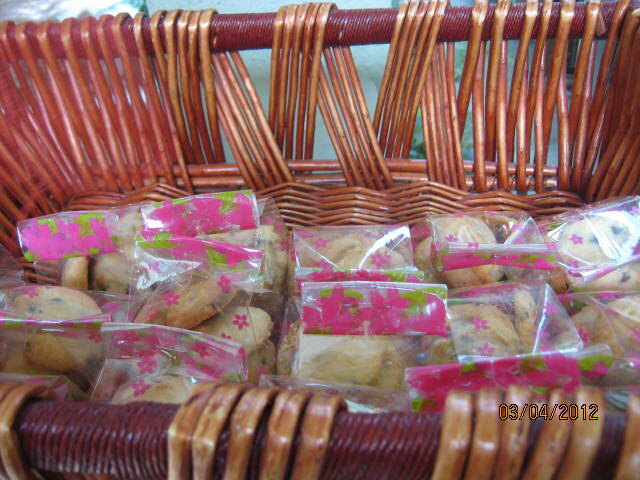 Meanwhile, the sales of soft drinks were over-whelming for today, with cookies being nibbled by almost every student in school today, specially whipped up by Zi Qing, one of our Assistant Head Librarians, with a special recipe given by a close friend of hers. Such goodies are too tempting to resist, so who knows how they fare tomorrow. Next, a word quiz for first-formers became a puzzle for some. What could the word mean? 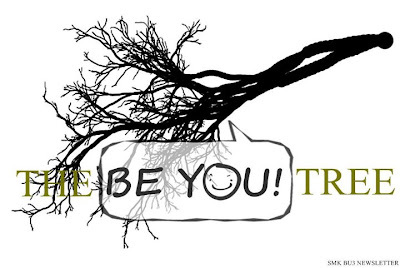 Look closely, and take a hint! Maybe the mist around you could disappear and it will seem as clear as day! 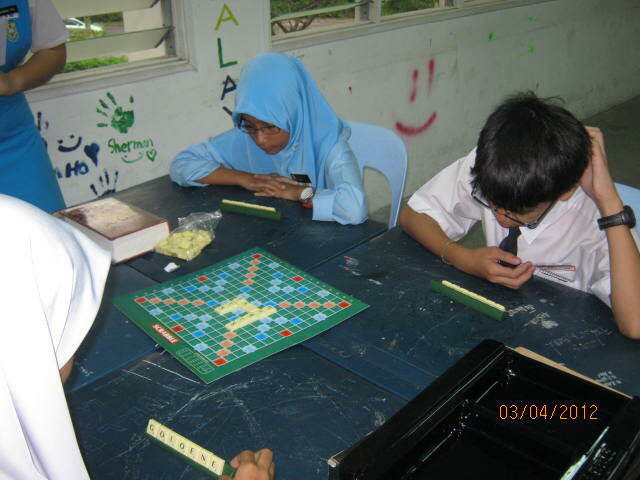 Finally, another Scrabble competition today, this time in Malay. With eyes ogling around at the exotic words available in the Malay language, it was good fun. 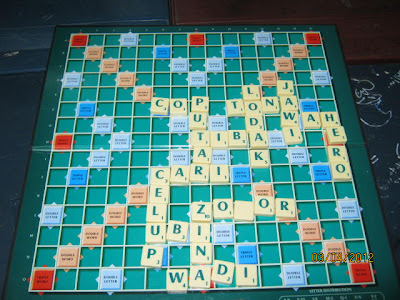 Words lashed out at one another to beat the clock, this game also had its share of ups and downs. 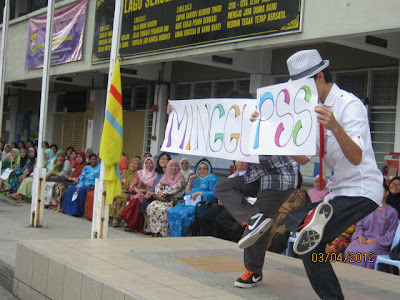 This competition really brought out the awareness of the diversity of the Malay vocabulary and its similarly diverse origins. This game managed to foster strategic preplanned tactics and a little good sportsmanship. 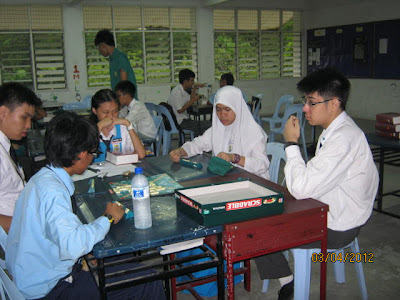 The adjudicators too learnt a thing or two from this game, and hopefully the merits would be widespread and not in vain. 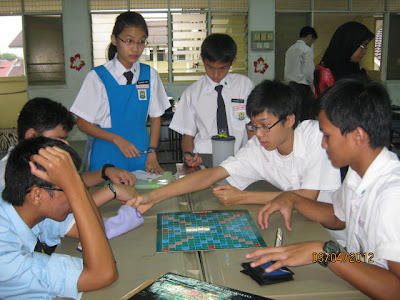 After this competition (more specifically during a leisure game of Scrabble), there have been thoughts on organising another tournament, this time, based on the knockout system. With that, stay tuned for any spanking new developments. Back to the game, the champions were 5 Orkid, followed by 4 Orkid as runner-up and 2 Orkid in third place. Well done!